Global Truss F14 2m Straight. A full range of accessories are also available for this series. However our product range doesn’t end there! Furthermore, VisioSound supplies a comprehensive range of lighting products including moving heads, strobes, and par cans. Global Truss F14 3m Quad Straight Truss Piece. Global Truss F14 3m Straight. However our product range doesn’t end there! Furthermore, VisioSound supplies a comprehensive range of lighting products including moving heads, strobes, and par cans. F14 1m Quad Straight Truss Piece. A full range of accessories are also available for this series. However our product range doesn’t end there! Furthermore, VisioSound supplies a comprehensive range of lighting products including moving heads, strobes, and par cans. For use with F14 Truss. However our product range doesn’t end there! Furthermore, VisioSound supplies a comprehensive range of lighting products including moving heads, strobes, and par cans. As soon as we have received the item back it will be checked to confirm the fault. A full range of accessories are also available for this series. However our product range doesn’t end there! Furthermore, VisioSound supplies a comprehensive range of lighting products including moving heads, strobes, and par cans. 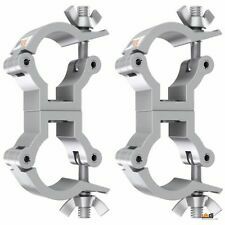 Exclusive to Global Truss, this handy truss tool makes connection and dismantling easy with this 2 in 1 tool. Truss tool. 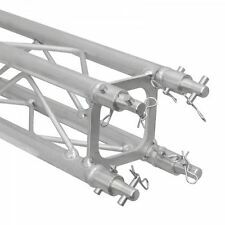 Connecting and dismantling truss can be made with ease. Exclusive to Global Truss. 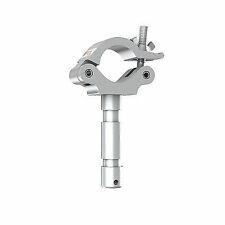 Goliath Studio height adjustable stands feature a new generation of rack and pinion direct drive technology. No cables are used throughout the range, therefore safety is increased and maintenance is minimalised. Global Truss F34 base wall plate. Global Truss F34 base wall plate. Prolyte Truss compatible. However our product range doesn’t end there! Furthermore, VisioSound supplies a comprehensive range of lighting products including moving heads, strobes, and par cans. Cross beams strengthen the deck structure. 90 x 2000 x 1000 mm. Reduced warehouse costs, just 9cm stacking height. Optimised shape, external corners are compatible with products by Layher and Nivtec without adaptors. For use with F14 Truss. However our product range doesn’t end there! Furthermore, VisioSound supplies a comprehensive range of lighting products including moving heads, strobes, and par cans. The following table summarises all rates used. Global Truss GT Half Coupler 750kg Black. Used once on a custom job, no longer required. 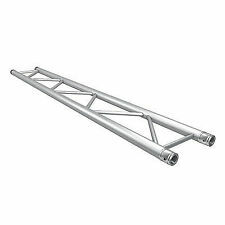 The Global Truss F33 feature TUV Certified aluminium welding and 3mm wall thickness for a superb load handling capacity. Prolyte H30 Truss compatible. However our product range doesn’t end there! Furthermore, VisioSound supplies a comprehensive range of lighting products including moving heads, strobes, and par cans. Arm Length: 450 mm. Weight 0.94 kg. Global Truss F31 1M Straight. Prolyte Truss compatible. However our product range doesn’t end there! Furthermore, VisioSound supplies a comprehensive range of lighting products including moving heads, strobes, and par cans. Global Truss F33 0.75m Straight. The Global Truss F33 feature TUV Certified aluminium welding and 3mm wall thickness for a superb load handling capacity. Prolyte H30 Truss compatible. However our product range doesn’t end there! Global Truss F33 4m Straight. The Global Truss F33 feature TUV Certified aluminium welding and 3mm wall thickness for a superb load handling capacity. Prolyte Truss compatible. Prolyte H30 Truss compatible. However our product range doesn’t end there! Furthermore, VisioSound supplies a comprehensive range of lighting products including moving heads, strobes, and par cans. Top Hat included. The following table summarises all rates used. For sale is a F33 – 3 point trussingstructure manufacured by Global Truss. The trussing is really good quality, light weight inpieces however in bulk, it does amount to a fair weight. The trussing specification of the trussing is as follows. Cross beams strengthen the deck structure. - Reduced warehouse costs, just 9cm stacking height. - Waterproof plywood construction with an anti-slip layer. - Optimised shape, external corners are compatible with products by Layher and Nivtec without adaptors. However our product range doesn’t end there! Furthermore, VisioSound supplies a comprehensive range of lighting products including moving heads, strobes, and par cans. Rest of World. The following table summarises all rates used. 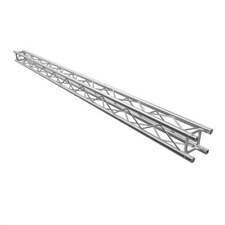 Global Truss F32 PL 2m Cross Beam (F32200PLZ). Prolyte H30 Truss compatible. 28mm spigot with truss adaptor. Supports truss widths of 250-400mm. F33 and F34 truss compatible. During that process you will be issued with an RMA number. Global Truss BS800(PL) Base Plate. For use with F34, F33, F32 and F31 Truss. Prolyte truss compatible. However our product range doesn’t end there! Furthermore, VisioSound supplies a comprehensive range of lighting products including moving heads, strobes, and par cans. Prolyte Truss compatible. 180 Degree Semi circle. However our product range doesn’t end there! Furthermore, VisioSound supplies a comprehensive range of lighting products including moving heads, strobes, and par cans. For use with F24 Truss. However our product range doesn’t end there! Furthermore, VisioSound supplies a comprehensive range of lighting products including moving heads, strobes, and par cans. The following table summarises all rates used. Prolyte H30 Truss compatible. However our product range doesn’t end there! Furthermore, VisioSound supplies a comprehensive range of lighting products including moving heads, strobes, and par cans. As soon as we have received the item back it will be checked to confirm the fault. Prolyte truss compatible. Prolyte H30 Truss compatible. However our product range doesn’t end there! Furthermore, VisioSound supplies a comprehensive range of lighting products including moving heads, strobes, and par cans. UKDJ - DFB Sound & Light Warehouse Limited. SWL: 100kg. 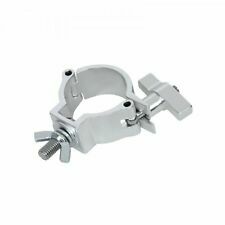 Global Truss Narrow Swivel Coupler Clamp (5032-2) £15.99. Unit 5B, Langham Park. Stand & Cases. Unit 5B Langham Park. DFB Sound & Light Warehouse Limited. However our product range doesn’t end there! Furthermore, VisioSound supplies a comprehensive range of lighting products including moving heads, strobes, and par cans. Rest of World. We will cover the cost of sending the item back to you. 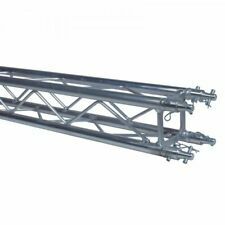 A multi purpose, iron base plate for use with Global Truss trussing and Curtain Call Pipe and Drape products. Prolyte H30 Truss compatible. 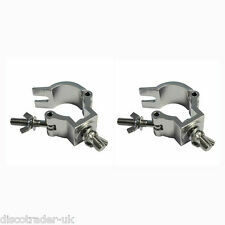 For use with F22, F24, F31, F32, F33, F34 Standard and PL Trussing. Rack Cases. Weight: 16kg. Supplied with 4 conical connectors. Other Stands. Microphone Stands. Lighting Stands. Speaker Stands. Stand Accessories. Prolyte H30 Truss compatible. Add to Favourites.